The most essential candelabra primula has to be the bright yellow Primula prolifera, another of the free-flowering Asiatic candelabras. For many years this was distributed as Primula helodoxa and can still be found under this name. One has only to see a fine group of Primula prolifera in full bloom in early summer to appreciate how it received its common name of 'Glory of the Bog', and how it received the prestigious RHS Award of Garden Merit. A native to western China where it can be found growing in moist meadows and alongside streams. 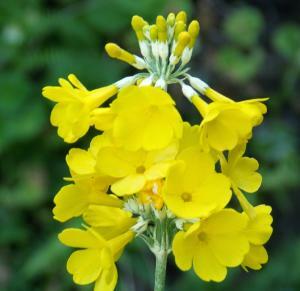 Primula prolifera goes on flowering for some time, it produces in spring up to seven whorls of bright yellow flowers opening in succession up around a stout stem which reaches 90cm in height, and is by far one of the easiest 'asiatic primula' to grow. Unlike many other Candleabra Primula species this plant is semi-evergreen and retains a rosette of foliage during the winter. 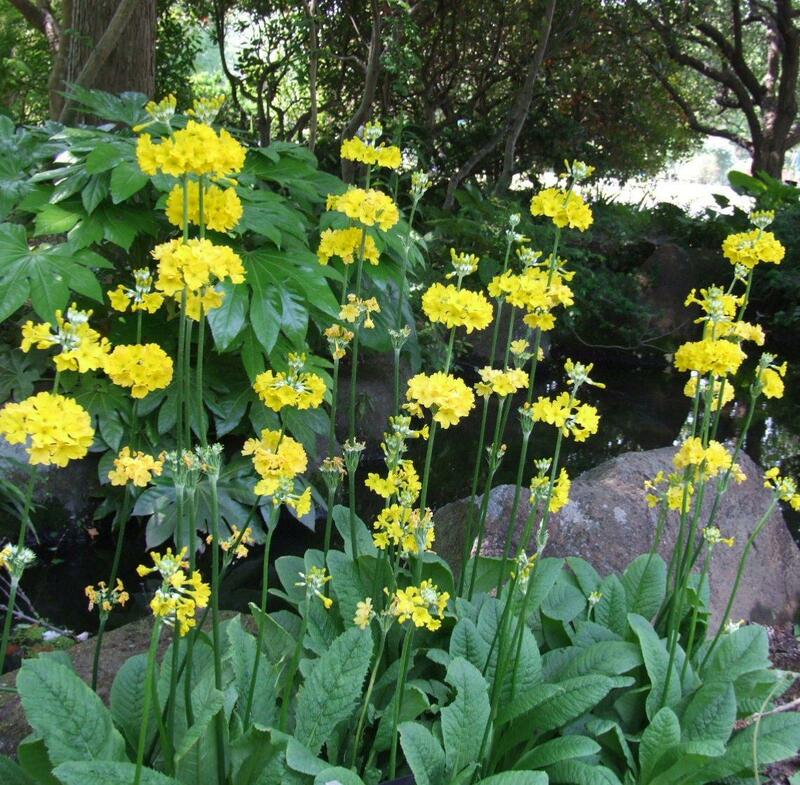 The Candelabra Primulas (the Proliferae section) are exceptional plants,originating from Western China and the Himalaya, for woodland, damp or even very wet places. They make clumps of strong leaves, deciduous in some species and persisting through the winter in others, and then send up their tall flowering stems. At intervals up the stems there are whorls of ten or more flowers, each ring opening one after the other every week or so. In some species there can be up to seven whorls that gives an exceptional flowering period. Colours range within the species from brilliant orange or yellow, red, pink, white, even dark maroon.